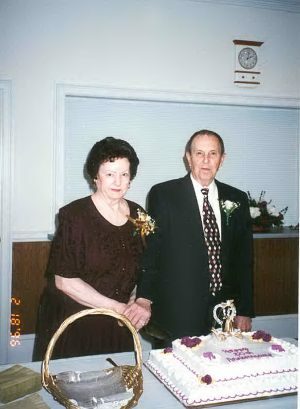 Below: Ralph & Pat (Muvie & Pop) O'Neal, Kathy's parents. 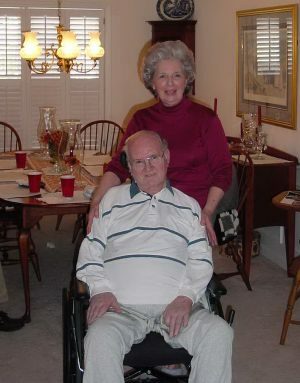 Above: Charles and Doris (Nanny and PaPa) Roper on their 50th Wedding Anniversary. 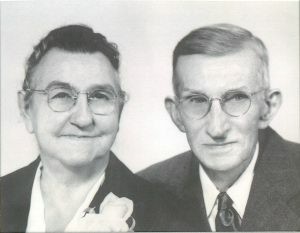 Above: George and Arta Roper (Mike's paternal grandparents). George built the Roper Farm House on Roper Road. Above: Ralph O'Neal (Pop) and his kids clowning around. 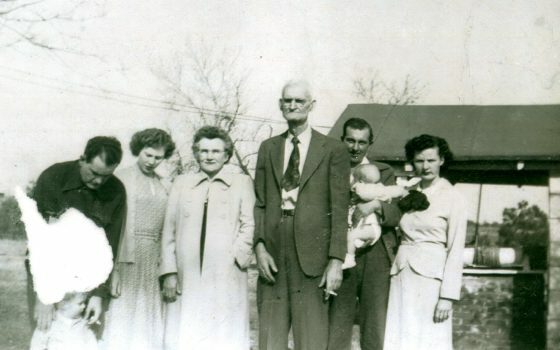 Above: Claude and Daisy Nash (Mike's maternal grandparents), parents of Doris, and again below with my Mom and Dad (holding me) on the right, and Aunt Betty and Uncle Carl (my Mom's brother) on the left. 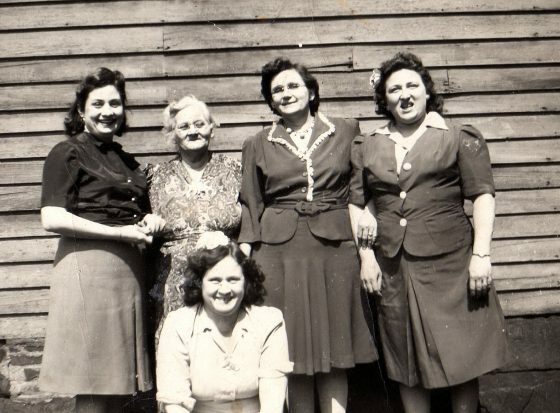 Below: My Great-Grandmother Maner, with four of her five daughters. 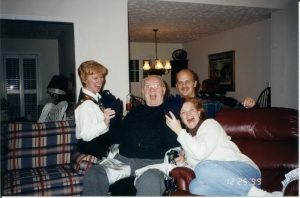 The 5th daughter missing from this picture is Daisy Maner Nash, my Grandmother. Grandmother Maner also had three sons. 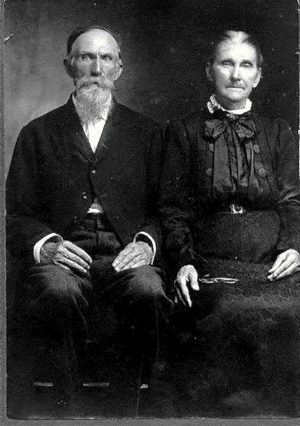 Above: Charles F. & Rebecca Roper, my Great Grandfather and Great Grandmother. Charles F. Roper served in the Civil War and was captured by the Union Army in Vicksburg, MS on July 4, 1863. 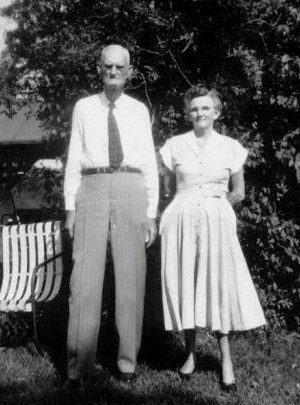 After the war he married Rebecca and they were the parents of 6 childern, one of which was George H. Roper, my Grandfather, who built the Roper Farm House shown on the Home page of this web site.